Tips and Tricks to help keep your plumbing working great! What causes unpleasant odor in my hot water? Most tank style water heaters come with a sacrificial anode rod designed to disintegrate over time to prolong the corrosion of the steel tank. This rod can be made of magnesium, aluminum and other materials. This rod will react and cause an odor depending on the makeup of minerals, bacteria, etc. in your water. Sometimes a different anode material will not cause the oder and you can change out the rod. Most of the time this is the case and removal of the rod is necessary. NOTE: Most water heater manufactures void your warranty if this is removed. I would recommend contacting your plumbing professional to remove this rod if necessary. Rattling pipes can be caused by a number of issues. A couple of the basic causes can be as simple as inadequate support & lack of separation between a pipe and another object. You may want to contact your plumbing professional to investigate further if needed. What is the white residue in my dishwasher? The white residue is the hardness (calcium & lime) that is in your water. When water evaporates, it leaves the minerals behind. The best way to treat the water to remove the hardness is a water softener. A softener uses ion exchange to remove the minerals and requires salt to regenerate & re-charge the resin bed. There are other technologies that claim the change the water molecular composition either through magnets or radio waves. There is some merit to the effort, but in the end they do very little compared to a water softener. Have you heard your toilet “run” on its own? A toilet that fills/refills the tank reservoir on its own is because its losing water somewhere. Most likely the flush valve flapper is not seated properly. Replacing the flapper is the first step to correcting this problem. The chain from the flush handle can get tangled up with the flapper also. In this case, adjust the chain length to correct. The fill valve may need adjustment if it is overfilling and losing water down the overflow tube. Remember, if your not sure what you are doing and if the correct adjustments are not made, you may be wasting a lot of water and money. Questions about your water well? 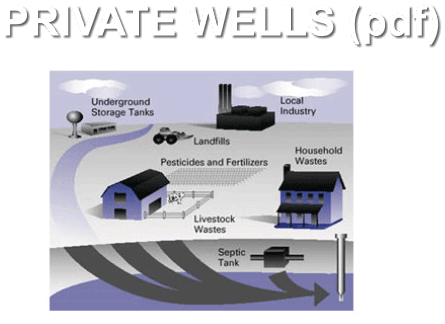 In Ohio, all wells are required to have a permit when installed. 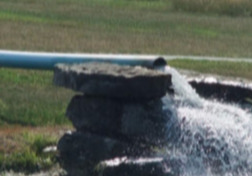 the Ohio Department of Natural Resources keeps the “well logs” of when the well was drilled. You can access this through the Internet -> Well Logs. 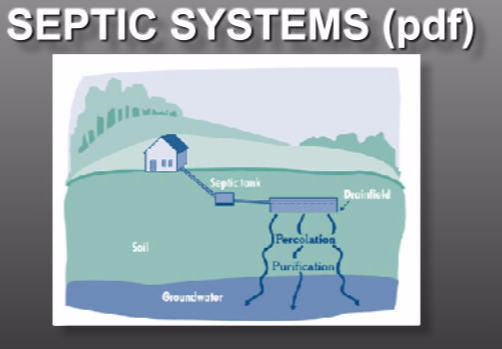 Questions about your septic system? Your local Health Department should have the original plans & diagrams of the system on your property. The older the system, the poorer the records. Septic systems are permitted as temporary until city sewer is available. The average life span of a septic system is 25 years. As a homeowner, you are responsible for maintaining your septic system. Proper septic system maintenance will help keep your home investment from failing. You can use Ohio's Water Well Log Search by County, Township and Road, or Log Number.